How do You do a Client Needs Analysis (CNA), and When? Somewhere back before the dawn of time, or at least what seems like that from where I sit today, I decided that all I ever wanted to do in life was to run my own accounting practice. At least that was what I decided after spending about fifteen years on the road for fifty out of fifty-two weeks each of those fifteen years auditing borrowers of high-dollar accounts receivable and inventory loans (Asset Based Loans). All I could see was the beauty of having a nice relaxing life, going home every day at five to a hot dinner and a loving family. Then I found out about tax time. Didn’t take me too long to decide that all I ever wanted to do in life was work with small business owners performing the writeup work that bookkeepers and a lot of accountants did in those days. Especially after a few seasons of twenty-six hour days, eight days a week, packing a full year of work into four months each year. Now, one of the things I’m sure you are well aware of is that back ‘in the day,’ schools taught accounting skills, not accounting practice management and marketing skills, so little ol’ me hit the streets, knocking on doors, without a clue as to what I was doing other than just walking in and asking for some accounting business. And there I was, knocking on doors. Knocking on more doors. And, knocking on even more doors. I didn’t really have much of a system past making it a ‘numbers’ game, getting in front of as many small business owners as I could and just asking for the business, or as the old time salesmen said, asking for the order. These days, almost every practitioner I talk to talks about their skill at making sales. But me, when I was just starting out, I didn’t have all that knowledge. I had to figure things out a little bit. And, one of the things I looked at, was the interview skills that Dave Lieberman had taught me when I was a part of his “Triple Check” tax franchise system. Dave’s folks had a pretty good interview system laid out. Totally geared to the tax preparation interview, but nonetheless, a pretty good interview system. And, that’s what every practitioner I talk to describes when I ask them about the ‘Client Needs Analysis’ portion of their sales presentation. I get some rambling, poorly thought out answers to how they determine a clients needs, and the first thing I notice is that it always revolves around the practitioners services. Whether they are talking about their financial statements, or the tax returns they prepare, or the financial planning services they offer, nine times out of ten, the practitioner is talking about themselves and their services. Now granted, almost every small business needs an outside accountant to do things like review the bookkeepers work, make closing entries and prepare the company tax returns, so there’s a lot of work out there and the development of selling skills is not a high priority for most accountants. But, practitioners still lose clients and have to replace them just to maintain their status quo. Client churn is a fact of life in the tax and accounting business. It is every practitioner’s goal to minimize that churn. One way churn is reduced is through the addition of multiple services to your portfolio. I know, I did it back in the 80’s and got an immediate fifty-percent reduction in client churn with the first additional service I added (it was an in-house, but standalone payroll service). My average client was staying with me twice as long just because I added payroll check writing to my practice. When it comes to tax law, and GAAP, I’m not the brightest bulb in the room. But sometimes a light flashes in front of me and I absorb some of that light. That’s what happened when I realized that those barriers to entry that additional services provide wouldn’t have been there if my clients hadn’t needed those additional services. The thing was though, that I felt like something was missing. I was adding services that folks just weren’t buying, and that was because they didn’t need them. But, I persevered, kept on signing new clients at a reasonable rate and felt like I was a moderate success in my market, performing write-up services for small mom and pop type businesses. Things are a bit harder today. All that low hanging fruit has been gobbled up as automation has crept into our lives. 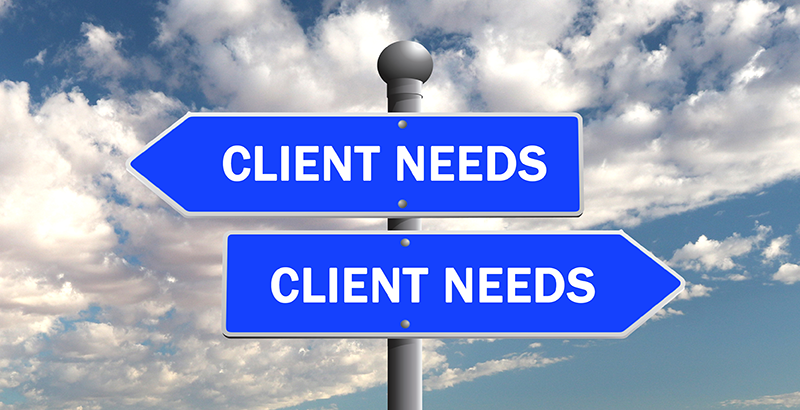 Identifying and offering the services that clients want and need has gotten harder and harder. Or has it? At a recent CFO Innovation conference in Indonesia, a fellow by the name of Cesar Bacani predicted that Blockchain will decimate the auditing business and possibly eliminate the double-entry accounting system we have used ever since Fra. Luca Pacioli reduced it to a writing in the fifteenth century. If his prediction becomes reality, what can an ordinary local practitioner do to survive? 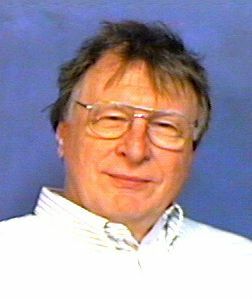 Successful practitioners are dusting off the cobwebs that crept over the basics they were taught at university, moving away from the transactional (price sensitive) work of the typical local practitioner, and returning to their roots in knowledge business, working to solve the needs of their clients. And, that’s where accountancy, and accountancy marketing shine the brightest. At its basic level, traditional accountancy marketing is all about positioning yourself as an expert who can solve the needs of your prospect better than an alternative, whether it is a direct or indirect competitor. You know your skills, what you can and cannot accomplish, but your market is defined by the needs you can satisfy. So, if that skill you spent two, four, five or seven years learning is not something your market needs, then you just wasted years of your time and have no hope of recovering, unless of course, you can find clients who need that skill, and you can include it in your services offering. That my friend, is where a Client Needs Analysis (CNA) will help. And, where you have the ability to save time, and reputation. If you perform a Client Needs Analysis, and determine that the client has no need for that new skill, you can either move on to a new prospect or refine your offering to fill the needs they do have. Now, a needs analysis is more than asking a prospect what they need, or what problems they are trying to solve. Those are valid questions, but if you’re going to be of use to them, and get those higher fees you’re trying to get, then you need to learn a bit about being a detective, and being a salesperson. Well, dear friend, old buddy, old pal, if you think you have this needs analysis thingy down so well that you don’t need to hear any more, just go sign up a client with whatever need you think they do have. Me, I’m going to write a bit more here about the process for all those other folks who will probably be taking your clients when they discover how to fill your clients needs. For one thing, a Client Needs Analysis starts before you ever go out to talk to a client. It starts the minute you begin to target a prospect. Yep, I said, target a prospect. I’m not talking about mass marketing, the type of stuff a tax preparer does seasonally. That’s stuff for another article and another time. Today, we’re talking about targeting accounting clients and performing a Client Needs Analysis for that particular firm. The first thing I suggest you do after you have identified your target firm, is to do some research. This is where Google is your friend. Look up your prospect’s website, find several products or services that they offer, look at what appears to be their sources of income or revenue streams. Find out what the trends are for them and the industry regarding those revenue streams, products and / or services, and see what the competitive landscape is like. See if you can find trends that are impacting their business or niche. Being aware of trends will help set you up with a preface question that gives you their own insights, and fills in the blanks in your research. If possible, talk to someone in that particular niche who might be willing to act as a mentor and who can provide you with niche or industry insights prior to your first meeting with the prospect. It can also help you understand more about who you are meeting with and allow you to quickly build rapport and get better answers to your questions. Speaking of questions, let’s not get ahead of ourselves too much and start asking questions about needs right away. The first thing jumping in with a lot of questions will do is alienate the prospect. They don’t know you. Which means they don’t trust you, and they don’t necessarily have to be polite to you. You gotta build some rapport my friend: rapport comes first, before anything. Someday I’m going to finish Daniel Kahneman’s book ‘Thinking Fast, And Slow,” and I’ll be able to explain why a little better, but for now, let’s just accept it as gospel because we, as humans, have the fight or flight response hardwired into our DNA, and that includes how we respond to salespeople, even the high-class accounting types of salespeople. Suffice it to say, you gotta build rapport. And, as you are building rapport, you easily flow right into your Client Needs Analysis questioning without asking a single question about what their needs are. You are a high skilled professional, aren’t you? Well, if you’re not, the prospect certainly doesn’t want to engage you. And, if you are, they certainly don’t want to have to tell you what they need. Your Client Needs Analysis is a conversation: a conversation about the prospect, about their business, and about them. It is not an interrogation, it is a journey of discovery and detection. This is your time to be like a detective, looking for clues, and asking about the prospect how they do things. You talk about the prospect, their business, how they operate, and who does what. As you talk, you inquire about details of each aspect, and you take the time to understand. When you leave, you need to know more about the prospect’s business than they do. When beginning your discussion, start with easy questions that can help you build rapport. One of the things to remember is that you absolutely must keep all your questions timely and topical. For example, if your research, or the answer to an earlier question gives you information that indicates something has happened that affects the current topic of discussion, it is okay to mention your observation and ask another open-ended question about the observation. And, by all means, don’t ask something that you ‘should’ know. Have a list of a half dozen powerful open ended questions that you could not answer with your preemptive research. Then just a few tie down questions to get confirmation. Finally, when you have completed your needs analysis, it’s time to leave. I repeat, it’s time to leave. Thank the prospect for their time, let them know that you think you’ve gotten a good understanding of their situation, but you want to go through all the information, and talk with the members of your team, so you can develop a solution that will meet their needs more accurately than a generic service you provide to others. Ask if you can meet with them in a couple of days to go over your proposal, which is when you will ask for the engagement. Your prospect may be a bit surprised that you don’t try to sign them up right then and there, but it is important for them, and for you, to make sure that you understand their needs, and that your solution fills the need, or needs. Once you can reach the point of talking to a prospect, and getting to know them and their business, without talking about you, your practice, how great your services are, or anything that smacks of self-aggrandizement, you’ll be able to tailor your services to your client’s needs, and tie them to your practice. And that, my dear friend, is how you do a Client Needs Analysis, when, and why. Part 2: “Client Needs Analysis: The Process and Questions” will appear in the February 2018 issue of Main Street Practitioner. Kirk Ward, developed and sold a small chain of taco stands after a youthful career in broadcasting, and used the proceeds to finance his accounting education, graduating from Baylor University in the early 1970’s. After a fifteen year career as an “Asset Based Loan” examiner or auditor, focused on contract compliance and fraud prevention, Kirk started and built several accounting and payroll practices in cities across the Southeast, authored a Special Enrollment Examination Review manual for Micro-Mash, a leading computer based training firm (now a part of Thompson-Reuters), and retired to the North Georgia mountains.